An easy sweet cornbread recipe made even sweeter with the addition of grapes. This is a perfect snack, side dish or dessert. I am super excited about this post. This is a new group I have joined and this month it is all about the grapes. 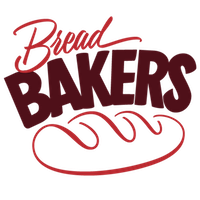 So now once a month at this time I get to blog to you about all kind of bread. Living in the south I was always kind of used to my cornbread being on the not so sweet side. This cornbread is a bit different, it has a bit of sugar. Along with the sweetness of the grapes, this could be dessert. I totally could put a scoop of ice cream or a dollop of whipped cream over this and call it a day. On the other hand, I certainly wouldn’t turn away a wedge of this sweet bread to enjoy in the morning with my cup of coffee. Spray a 8×8 inch dish with cooking spray. Whisk the flour, cornmeal, baking powder and salt in a large bowl. Set aside. Using a stand mixer with a paddle attachment combine eggs, sugar, lemon zest and vanilla. Add milk and honey. Add flour mixture and combine until just incorporated. Mix in half of the grapes. Pour batter into prepared dish. Sprinkle the remaining grapes over the top of the bread. Bake until cake turns golden brown around the edges and start to pull away from the pan. About 30-40 minutes. Here are a few of my fellow bloggers who make bread with grapes. What a lovely cornbread, Vonnie! Those beautiful purple grapes almost look like black olives sinking in there. As a fellow Southerner I can attest that in my family we made both types of cornbread, sweet and not-so-sweet. My mom used the same recipe but added or subtracted sugar depending on how she was feeling or if the cornbread was going to used in stuffing, for instance. Sweet wouldn’t do for that! I couldn’t wait to see the recipe after you posted a photo of it in the group. I’m loving the sweet cornbread as a nice change to the typical savory. It’s so pretty with the grapes too. Interesting idea! I’ve seen cornbread make with a lot of savory ingredients added, but I like the idea of making it almost coffee cake-style. So beautiful and yummy looking Veronica. What a great idea!! the purple and yellow look perfect together! Cornbread sounds perfect with grapes! I bet it tastes as beautiful as it looks! Very nice, Veronica. Yes! I really like the combo of flavors in this cornbread. I have never had a sweet cornbread. I didn’t even think about a sweet one until you posted a recipe! Great bread .